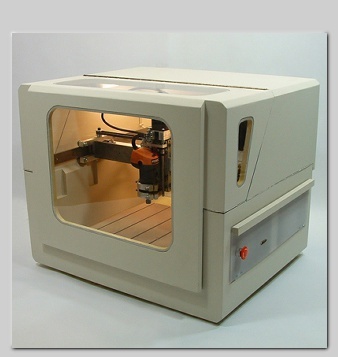 Since 2010, Momus CNC has been providing plans and documentation to construct Do-it-Yourself (DIY) desktop manufacturing equipment. Through innovative design, our mission is to enable builders to construct home-built machines that rival the performance of commercial equipment costing many times more. The design of our compact, fully enclosed, precision 3 axis CNC router can be constructed with common shop tools and skills. Expand your desktop manufacturing capabilities, by being able to machine objects from wood, foam, plastics, and even light work in aluminum and brass. With a 16” x 16” x 5” working envelope, the machine is ideal for engraving, woodworking projects, sign making, circuit boards, making components for R/C cars and planes, and other small-scale milling operations. Create anything from simple engravings, to complex three dimensional forms. Our product is a comprehensive 170 page manual, that completely outlines the construction of the machine. It contains detailed drawings for every part, exploded-view drawings, more than 350 photographs, and detailed descriptions of fabrication and assembly. The machine is designed to be built from standard sizes of material,and utilizes commercially available components. All required materials can be sourced either locally or through online suppliers. The construction manual includes a complete bill of materials, and list of vendors. We supply the plans, you supply the materials. Join a community of other builders and users on the active CNCzone forum. 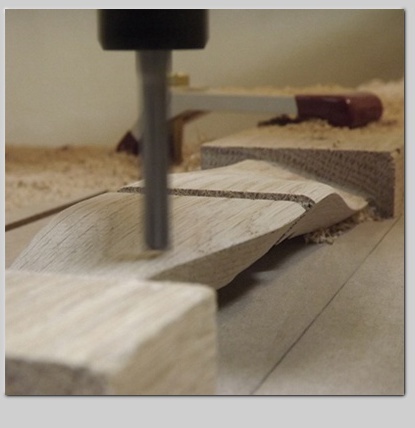 We have a dedicated sub-forum for builders and those interested in the Momus CNC. Benefit from the experience and knowledge of those who have already constructed machines, and are actively using them. What's required for a complete system? 1. A CNC router. Build it from the Momus CNC plans. 2. Control electronics. Available as a complete kit from numerous third party suppliers. - design software (such as CAD or 3d modeling). - CAM software, to generate toolpaths. - control software, to run the machine. The Momus CNC construction manual includes all of the information necessary to construct the machine, as well as a list of suppliers for everything else required, and a descriptive overview of how it all works together as a complete system. 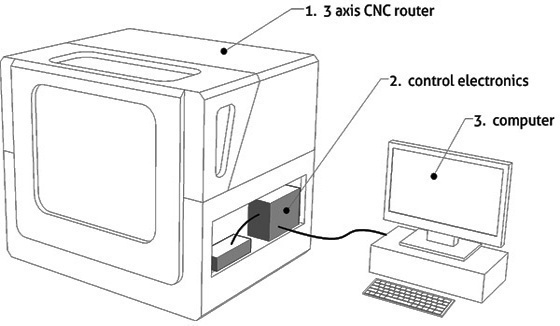 In addition to providing all of the information necessary to build the machine, the construction manual also covers numerous related topics, such as the design philosophies that led to this particular machine design, the basic principles of CNC, workflows within CAD/CAM software, overview of machine electronics, and some structural design information that can be helpful should you choose to make modification to the machine. The manual also contains wiring diagrams for two common models of motor control drives, and basic configuration settings for the most popular machine control software. To view sample pages, click on the images to the right.